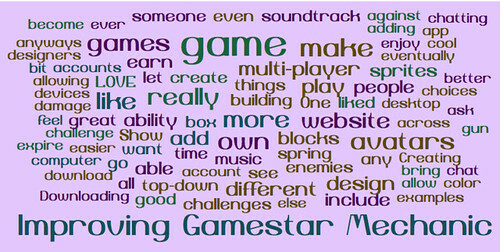 Yesterday, I shared out the letter my students and I sent to Gamestar Mechanic (and to which they have already graciously replied, which I will sharing with my students later today). This morning, I am sharing out the digital poster version of input that we created with some of that advice from students for the developer at Gamestar. 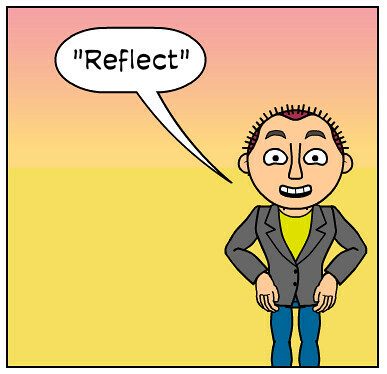 Over at Two Writing Teachers, my writing friends Stacey and Ruth are using today’s Slice of Life post (a Tuesday feature) to ask folks to write “one little word” for the new year. This is a pretty amazing find from Twitter this morning: a Google Doc with listings of hundreds of TED talks. Actually, there are more than 1300 talks listed on this spreadsheet, with links and titles and more. I feel smarter just looking at the short descriptions. Wow. 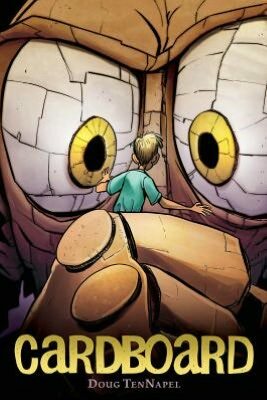 There’s a real creepy undercurrent to the latest graphic novel by Doug TenNapel. Cardboard tells the story of a single father’s gift to his young son of a magical cardboard box, which animates and brings to life whatever the recipient creates. Cam, the boy, and his unemployed dad, a down-on-his-luck kind of guy who has not yet come to grips with the loss of his wife, don’t quite believe the story (as told by a sort-of carnival barker who lays out a few rules for using the cardboard that Dad ignores, to his peril, of course). Still, Cam and his dad create a cardboard man anyway, who springs to life as a boxing champion named Bill. Then, in a burst of inspiration, dad creates a cardboard machine that can create other cardboard creatures (which is against the old man’s rule), and suddenly, the story is full gear. The strange part of the story takes hold when Cam’s neighbor — Marcus, a boy with zombie-like eyes and a mean streak a mile long — decides to steal the cardboard machine and begins to create his own creatures. Needless to say, the entire plan by Marcus goes awry, with the cardboard creatures creating an entire city underneath the ground and staking out their own independence. Cardboard replicas of Marcus and others start appearing, too, with maniacal eyes. Told you. Creepy. Cardboard then becomes a story of good versus evil, as Cam and Marcus join forces to put a stop to the cardboard kingdom. The story is engaging and the artwork is pretty interesting. I haven’t read any of TenNapel’s graphic novels before, but he clearly has a good sense of creating a world within a story, and using the image to tell the story. I imagine some of my students will be intrigued by the book cover, which shows Cam staring into the massive eyes of a cardboard giant.